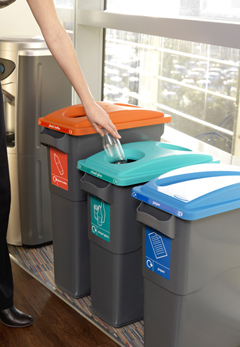 An extensive range of innovative workplace recycling solutions specifically developed for the source separation of waste materials in the workplace. 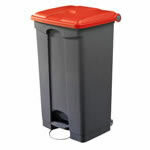 Also suited to schools, universities and hospitals, or anywhere else where waste needs to be separated out for recycling. 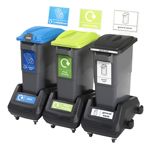 A flexible workplace recycling system with different sizes of bin body and a broad range of lids with colours and apertures for different material streams. 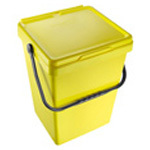 Aesthetically pleasing pedal operated bins designed for hygienic hands-free waste disposal. 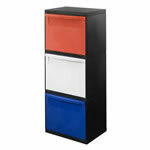 Practical deskside containers suitable for any office and ideal for paper recycling collections from individual desks. 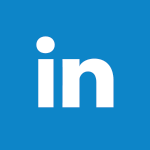 Larger capacity containers including a protruding aperture allowing access to all of the containers simultaneously when stacked. 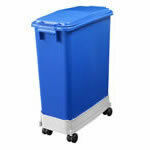 With all of the features of the hugely popular Kerbside Caddy in a selection of larger sizes. 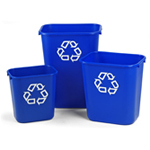 Brightly coloured containers for colour-coded recycling programmes. 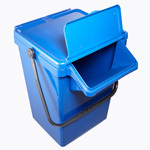 Modular system of front and top opening units which fit together in a variety of ways allowing the creative source separation of recyclables.